For some months during the winter of 1991-1992 Stockholm was a city of fear. An unknown perpetrator, armed with a laser rifle, shoot 11 people in 10 different attacks. One died, several were wounded for life. The only thing that the victims had in common was the color of their skin or hair. Ten years after the attacks John Ausonius decided to confess to the attacks and to 20 bank robberies. Except for the police, Ausonius spoke only to one other person – the journalist and writer Gellert Tamas. The documentary novel The Laserman has received several awards and been called a modern classic. It not only depicts the perpetrator but also the society, the public debate and the political climate that he was influenced by – and that he, in his turn, influenced. 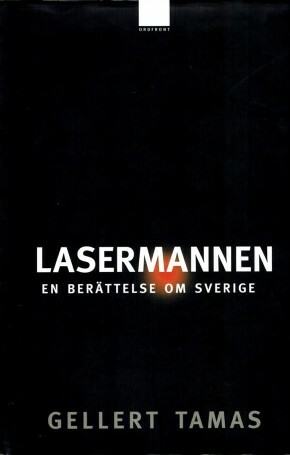 With more than 200 000 copies sold, The Laserman is one of the most widely read journalistic books in Swedish history. The book has been translated to over a dozen languages, turned into a movie, staged and even ended up in other books. In the Millennium Trilogy, the main character of the author Stieg Larsson, Lisbeth Salander, reads The Laserman.